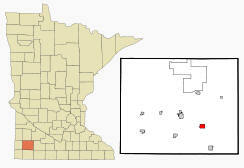 Avoca is a city in Murray County, Minnesota. 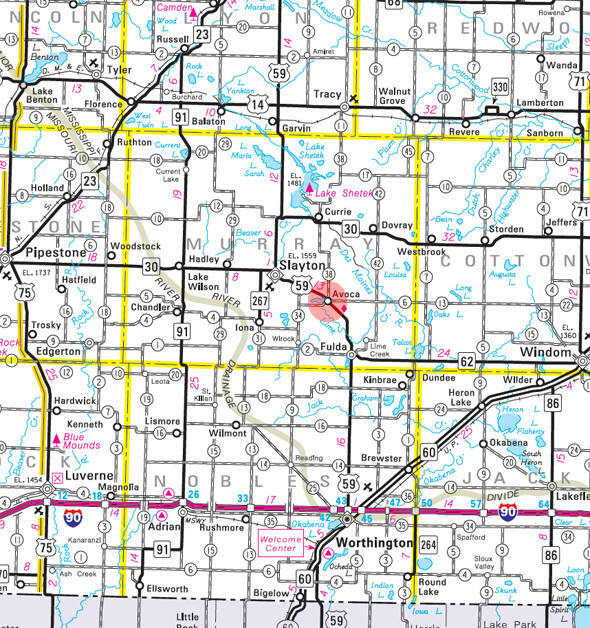 U.S. Highway 59 and Murray County Roads 6 and 38 are the main routes in the community. 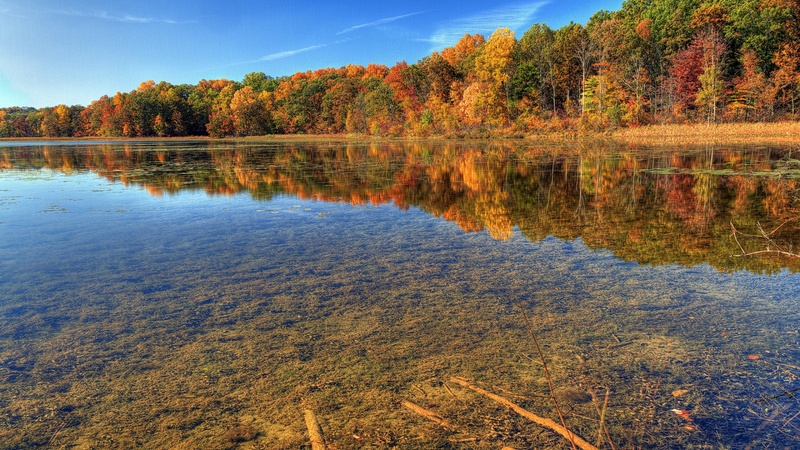 According to the United States Census Bureau, the city has a total area of 1.17 square miles (3.03 km2), of which 0.97 square miles (2.51 km2) is land and 0.20 square miles (0.52 km2) is water. The elevation is 1,539 feet above sea level. There were 61 households of which 31.1% had children under the age of 18 living with them, 50.8% were married couples living together, 3.3% had a female householder with no husband present, 4.9% had a male householder with no wife present, and 41.0% were non-families. 37.7% of all households were made up of individuals and 11.5% had someone living alone who was 65 years of age or older. The average household size was 2.41 and the average family size was 3.22. The median age in the city was 44.1 years. 26.5% of residents were under the age of 18; 8.3% were between the ages of 18 and 24; 17.7% were from 25 to 44; 36% were from 45 to 64; and 11.6% were 65 years of age or older. The gender makeup of the city was 51.0% male and 49.0% female. 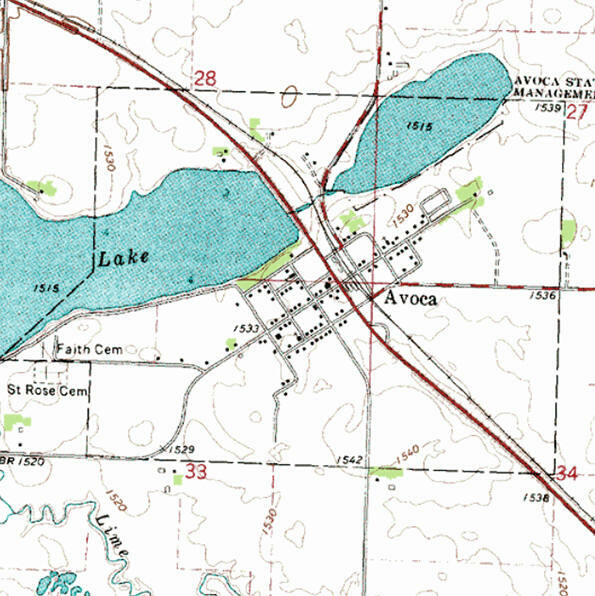 AVOCA, a city in sections 27, 28, 33, and 34 of Lime Lake Township, was named in 1879 by Archbishop John Ireland, who founded near it a Catholic colony of immigrant farmers. The name is taken from a river in County Wicklow, Ireland, about 40 miles south of Dublin, noted for the picturesque beauty of its valley, called Sweet Vale of Avoca in a poem by Thomas Moore. 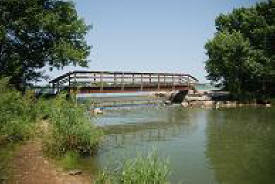 From the fame given by the poet's praise, this name also has been chosen for villages in 13 other states of the Union. 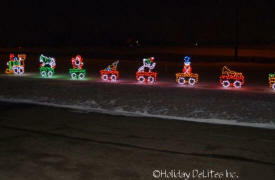 Holiday DeLites, Inc is a manufacturer of high quality LED Holiday and Seasonal decorations. 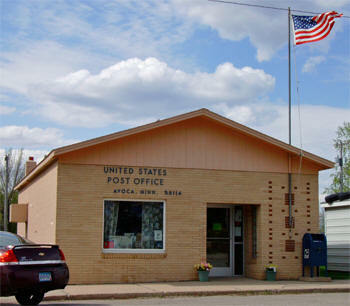 We are located in Avoca Minnesota. 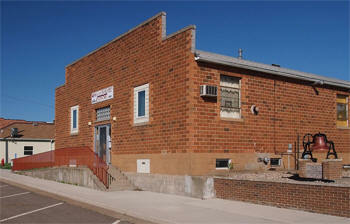 Holiday DeLites has been in business for 25 years and has many satisfied and returning customers. We use the best in LED light technology for our decorations to give you the highest quality in our products.